You've ever received a package in the mail that contained an old gardening book. You once waited on the front steps for the mail carrier because you thought a package containing your signed Elizabeth Lawrence book might arrive that day. You have gotten t-shirts sent to you in the mail because they were garden-y and the sender thought there would be no one who would appreciate that t-shirt more than you would. You recently got an envelope in the mail that contained a button that said "Plant Ho" because it reminded the sender, from Davis, California, of you. You once received a package of red worms in the mail to put into your worm composter. Bonus points if the box just barely fit in the mailbox and it took a lot of extra effort to get it out without crushing it. You have gotten more than one hoe in the mail and it came wrapped up so that it was unmistakable what it was. 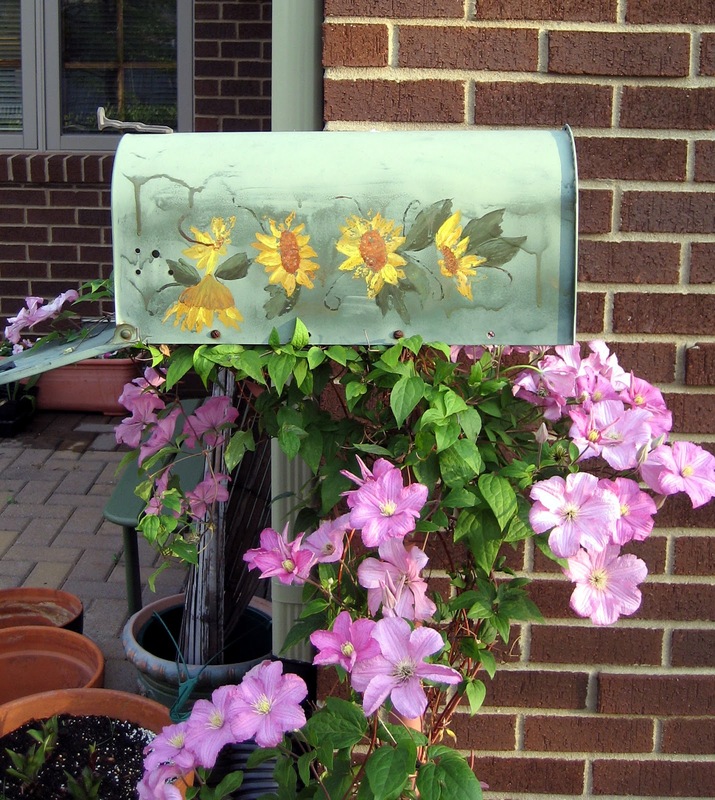 Your mail carrier notices a lot of seed and plant catalogs clogging up your mailbox right after the holidays. Your step quickens a bit when you see a package stamped "Royal Mail" because you know it is a book you ordered from Great Britain and you remind yourself how thankful you are for the ease of ordering books online. You've gotten mail stamped "live plants". When you buy stamps, you always buy ones with flowers or trees or anything else related to gardening or plants. You aren't afraid of vampires attacking your mailbox because you've ordered garlic bulbs before and maybe the smell of garlic still lingers in your mailbox? You've used an old mailbox in the garden to keep gardening tools, gloves, and other stuff in. Finally, you might be a gardening geek getting mail if you've actually gotten mail for your garden fairies in your mailbox. I guess I'm a gardening geek. LOL! Maybe gardening geeks can keep the postal service in business! I receive all sorts of things garden related in the mail so I guess I am a garden geek. Your friends know you well! I think I need to spread my geeky gardening habits a little broader. Not that my own family doesn't buy me garden related items. I, like you, am such a breeze to shop for. The Head Gardener is glad her efforts to keep you properly clothed are appreciated!